For someone who wrote one of the greatest novels to come out of the First World War and is often credited as the writer who turned French literature around in the twentieth century, Henri Barbusse is surprisingly little known in much of the world today. Could this be because of his Communist politics or because he lived out his late years in the Soviet Union? Barbusse was born outside Paris and joined the artistic circles of that city, producing mainly poetry and journalism at first. His novel L'enfer (1908, translated as Inferno or Hell) however sparked a scandal as an account of voyeurism when it was released in English. In the intensely realistic story, a young man in a Paris boardinghouse spies on his neighbours through a hole in his bedroom wall, witnessing marriage, adultery, birth, death, lesbianism and other all human behaviours. When the war broke out in 1914, despite being an established writer, in poor health, a pacifist and forty-one years old, Barbusse enlisted in the French ranks where he served in the front trenches. His lungs were damaged by an explosion but he kept returning to the front until he was finally invalided out. Le feu (1916, translated as Under Fire, the Story of a Squad) was his depiction of the horrendous carnage and a moving portrait of the men who suffered it together. One of the most realistic and, at the same time, poetic accounts of war ever written, it won the Prix Goncourt, France's highest literary honour. 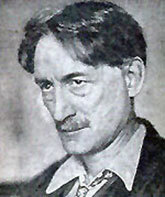 After the war Barbusse joined the newly formed French communist party and wrote the very political novels Clarté (1919, translated as Light), Les Enchainements (1924, Chains) and Le Judas of Jésus (1927, The Judas of Jesus) in which Christ is portrayed as an early communist revolutionary. In 1928 he started the weekly communist paper Monde, which he edited until his death, and he wrote several non-fiction books about Russia.